FHA loans, different than Conventional Loans, have looser guidelines when it comes to credit score and debt to income ratio. While a conventional loan has a debt to income ratio of 50%, FHA can allow ratios up to 56%. This can allow home buyers to purchase large homes based on their income. Different than their conventional counterpart, FHA loans can allow borrowers to attain financing with a credit score below 600, sometimes going down to 550. Certain restrictions apply at that credit score though. What Are The Advantages Of a FHA Loan? FHA loans provide an advantage over, non government agency loans because they are easier on clients with past bankruptcies and foreclosures. The Waiting period for an FHA mortgage after bankruptcy is 2 years from the date of discharge, for foreclosure it’s 3 years from the date the deed was transferred. This gives FHA borrowers an advantage because it can get them back into the market sooner. Documentation explaining the tarnished credit history is required. 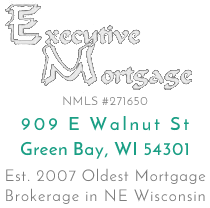 To know if FHA is the best fit for your personal situation would require a sit down with a trusted mortgage professional, if you wanted to Ask your question here you can. You can safely assume that an FHA mortgage would be best for you if your down payment is limited, your credit score is on the lower side or you have some discrepancies in your credit history. What Can You Buy With a FHA Loan? How Much Can You Borrower With a FHA Loan? Just like Conventional Loans, FHA loans have loan limits. These are done by state and county. There are high cost areas where the FHA allows higher limits (up to $679,650) and low cost areas that range up to $294,515. You can look up your counties loan limit here. What Restrictions Or Down Sides Are There With FHA Loans? FHA loans have mortgage insurance, just like most loans. But the caveat is that FHA mortgage insurance never ceases throughout the entire 30 year term. If you have a 10% or more down payment you can expect the mortgage insurance to cancel in 11 years. But if you are using the minimum 3.5% down payment you will have to refinance the mortgage to eliminate mortgage insurance. This rule does not apply if you are doing a 15 year FHA loan. as you can see the amount of mortgage insurance you pay is contingent upon the whether or not it’s a high cost or low cost area, the term (30 or 15 years) and how much of a down payment you put down. How Do I Apply For a FHA Mortgage? Just like any other loan it’s important to sit down with a trusted mortgage professional. You can ask a professional or feel free to apply here. Also you are more than welcome to call me directly.